Gold Decor. 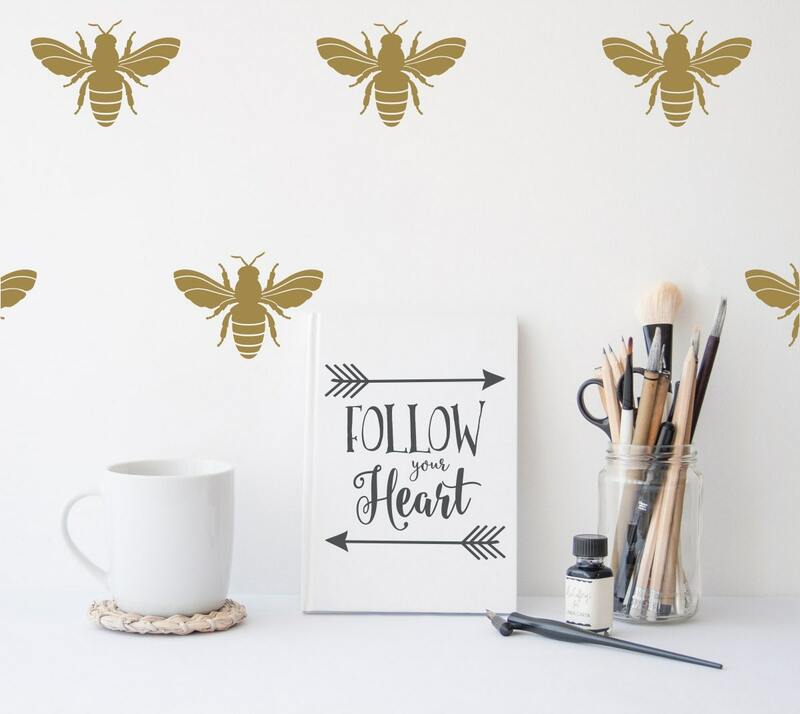 Bee Decor. Mix them together and you have an absolutely gorgeous classic style. 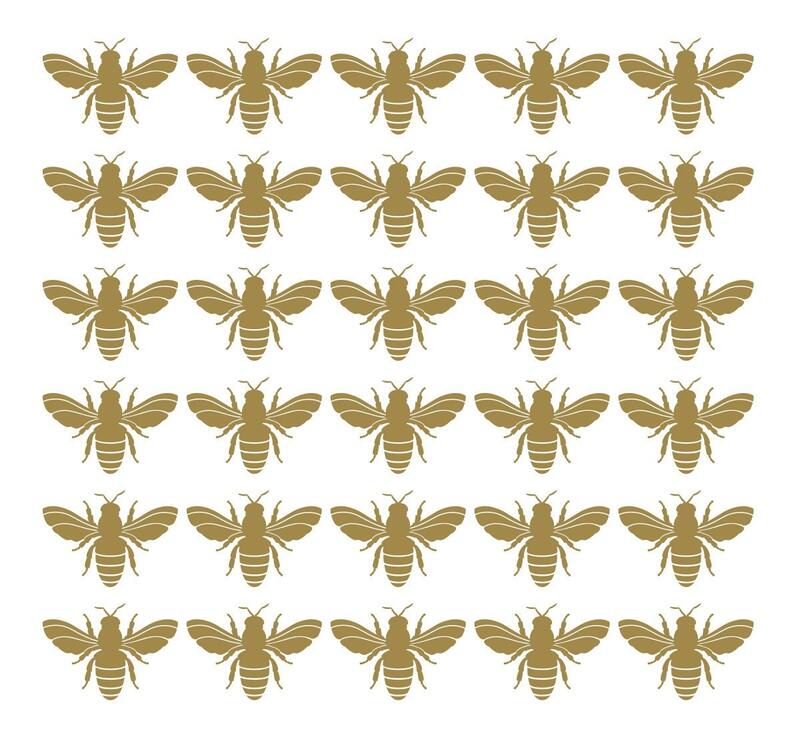 Choose between large single bee options or a package of 30 Napoleonic bee decals to create an allover wallpaper pattern. 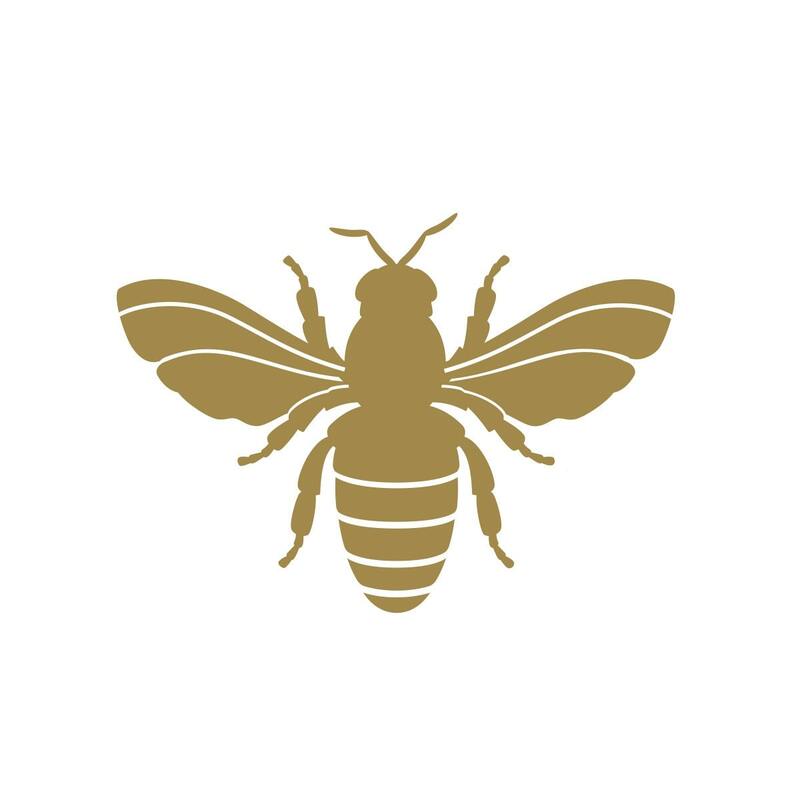 Gorgeous in a powder room or on the wall behind the desk in a white and gold home office.